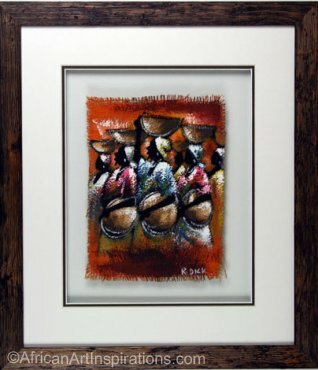 Original acrylic painting on jute canvas. Mounted and presented in double glass pane with dark brown drift wood frame. © 2010 African Art Inspirations. All rights reserved.